Contemporary welfare provision poses serious challenges for social policy. Large and rapid changes are said to be taking place in the way we live, work and relate to each other, characterised by anxiety and insecurity.Risk and Citizenship explores how new and diffrent forms of citizenship are evolving in the context of this 'risk society' and the implications for the development of social policy at both the macro and micro level. 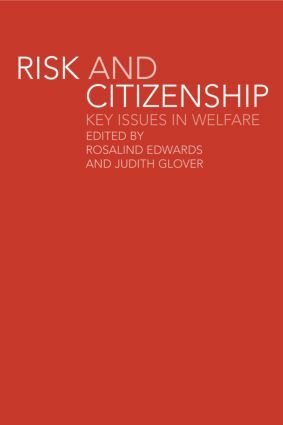 This spirited and informed collection of papers by leading analysts addresses key questions related to welfare, citizenship and risk including: the nature of insecurity and social protection; the balance between inequality and egalitarianism; the relationship between governments and citizens; the parameters of citizenship; and the impact of risk assessment and risk management. * a new typology of welfare citizenship.